Craft beer refers to the beer that is traditionally produced. Being a part of the microbrewery industry, craft beer forms a relatively smaller part of the global beer market. Exclusivity and high cost of manufacturing of the product results in its high cost. Expensiveness, clubbed with the fact that most micro-breweries have little international presence owing to the small scale of the industry, makes the craft beer industry one of the most specialized and small arms of the beer market, but one that accounts for a notable share. The global craft beer market is witnessing development at a robust pace owing to the rising interest of people in traditionally produced beers. Co-factors such as rising disposable incomes, increasing adoption of Western food habits and improving distribution networks are also catalyzing the rising global demand for craft beers. The market, however, has witnessed stagnant growth in most established markets in the recent past. In the U.S., for instance, the largest market for beers, production as well as consumption volumes have steadily declined in the past few years. In other key markets such as France, Germany, and the U.K. as well, production and consumption volumes of craft beers have continued to decline over the years. A number of factors have contributed to the stagnant growth of the craft beer market in these regions, including the rising popularity of alternative beverages such as cider, wine, and other healthy drinks, financial slowdowns, and increasingly strict regulations. The rising demand for craft beer and the growing consumption across developed regions are the major factors that are projected to fuel the growth of the global craft beer market in the next few years. 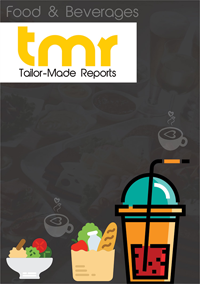 In addition, the rising demand for flavored beverages across the globe is likely to accelerate the growth of the global market throughout the forecast period. The acceptance of beer as a social drink is another vital factor predicted to supplement the growth of the craft beer market across the globe. On the other hand, the rising inclination of consumers towards substitutes is one of the key factors expected to hamper the growth of the global craft beer market in the coming years. Nonetheless, the rising consumption of craft beer and the improving distribution network are estimated to augment global beer market in the coming few years. Moreover, the introduction of new flavors is likely to generate promising opportunities for key players in the market. The global craft beer market has been divided on the basis of geography in order to offer a clear picture of the market. Latin America, North America, Asia Pacific, Europe, the Middle East and Africa are some of the key segments of the global craft beer market. As per the research study, the Asia Pacific market for craft beer is expected to lead the global market and is likely to maintain a dominant position in the next few years. A substantial contribution from Japan, Australia, and New Zealand is predicted to encourage the growth of this region throughout the forecast period. Furthermore, Europe and North America are expected to witness a healthy growth in the next few years. The rising popularity of craft beer and the easy availability across these regions are projected to fuel the growth of these segments in the coming years. The market share and the estimated growth rate of each segment have been provided in the scope of the research report have been included in the scope of the research study. The research study talks about the competitive landscape of the global craft beer market. The prominent players operating in the market have been listed in the scope of the research study in order to offer a clear understanding of the market. The company profiles of these players have been discussed in the scope of the research study, along with their business policies, financial overview, SWOT analysis, and the latest developments. In addition, the mergers and acquisitions in the global craft beer market, if any have been mentioned in the research study. Some of the key players mentioned in the research study are Omer Vander Ghinste, D.G. Yuengling and Son, Stone & Wood Brewing Co., The Boston Beer Company, Sierra Nevada Brewing Co., Deschutes Brewery, Chimay Beers And Cheeses, Feral Brewing Co., The Gambrinus Company, Bell's Brewery, Inc., Vagabund, Lagunitas Brewing Company, and New Belgium Brewing Company. The other players that are estimated to enter the market have also been included in the scope of the research study.